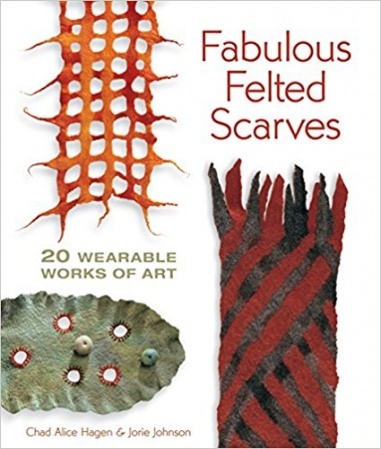 Felting is hotter than ever and scarves are fabulous first projects for crafters to try. The simple process yields infinitely varied results, with rich colours, forms and visual appeal. Created by two internationally known designers, these 20 spectacular boas, wraps, shawls and stoles are wearable art. Ranging from elegant to trendy, the projects include a scarf with lacy patterns; a wrap inspired by the delicate hues in Monets water lily paintings; and a pretty dip-dyed party scarf.